The 49th International Film Festival of India opened in Panjim, Goa, yesterday in the presence of some big names from the Hindi film industry. An international film festival is expected to showcase the best of domestic and international cinema and its opening ceremony ought to reflect the culture of the host country. While India has many languages and almost as many film industries, it is Hindi cinema, popularly known as 'Bollywood', that often steals the limelight. 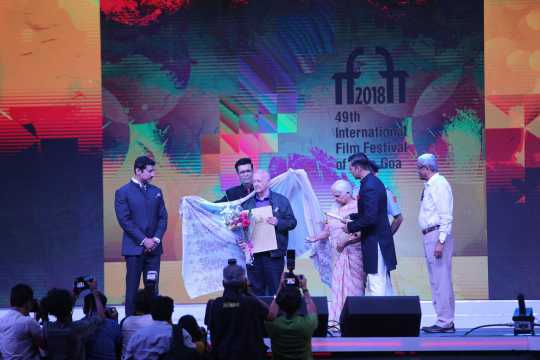 Things were no different as the 49th International Film Festival of India (IFFI) was opened in Panjim, Goa, yesterday in the presence of some big names from the Hindi film industry. Hosted by TV actress-presenter Mandira Bedi and actor Amit Sadh, the gala ceremony was attended by the likes of actor-producer Akshay Kumar, actor Randhir Kapoor, lyricist and CBFC (Central Board of Film Certification) chief Prasoon Joshi, producer Siddharth Roy Kapur, filmmakers Karan Johar, Rakeysh Omprakash Mehra, Madhur Bhandarkar, Ramesh Sippy and Subhash Ghai, actresses Poonam Dhillon and Hrishitaa Bhatt, and singer Arijit Singh. 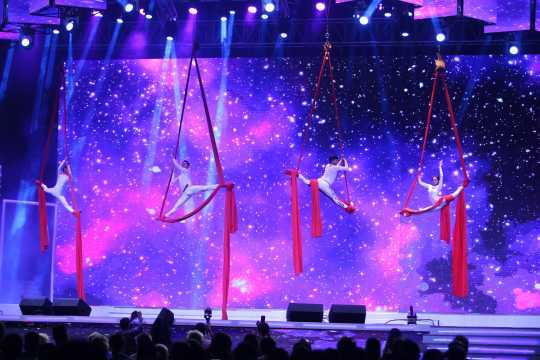 While Akshay Kumar, Karan Johar, Sonu Sood and Rakeysh Omprakash Mehra took to the stage to entertain and welcome cinema lovers, it really were singer Shilpa Rao and gymnast-aerial instructor Aditi Deshpande and her troupe who got standing ovations for their performances. The opening ceremony began with professional dancers putting up a show celebrating the grandeur of period drama in Indian cinema to a medley of tunes from classics like Mughal-e-Azam (1960) to modern period tales like Jodhaa Akbar (2008) and Bajirao Mastani (2015) and the blockbuster Baahubali franchise. The dancers put on a fine act, but the performance was marred somewhat when the audio of the 'Malhari' song from Bajirao Mastani (2015) was played with the visuals of Baahubali. That was no fault of the dancers though. Shilpa Rao showed her versatility as a singer crooning Bengali, Tamil, Telugu and a few popular Hindi film tracks like 'Ik Kudi' from Udta Punjab (2016) and 'Bulleya' from Ae Dil Hai Mushkil (2016). 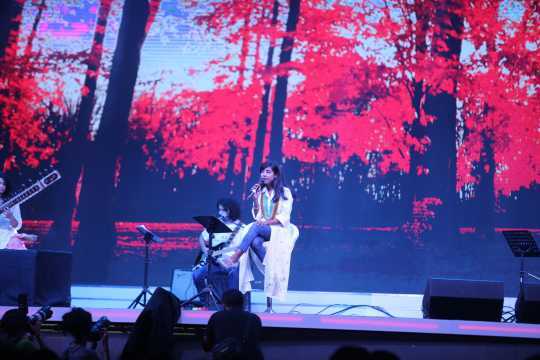 Our neighbouring country Pakistan has always inspired our artists and Rao's rendition of the evergreen 'Aaj Jaane Ki Zid Na Karo', a song made popular by Mallika-e-Ghazal Farida Khanum, received thunderous applause. The best performance of the evening was given by Aditi Deshpande and her troupe. 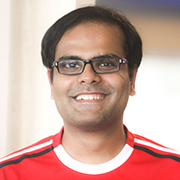 Deshpande is a trained gymnast and mallakhamb performer. The view of the aerial artists performing on ropes was simply breathtaking. Karan Johar did what he does best — chat. 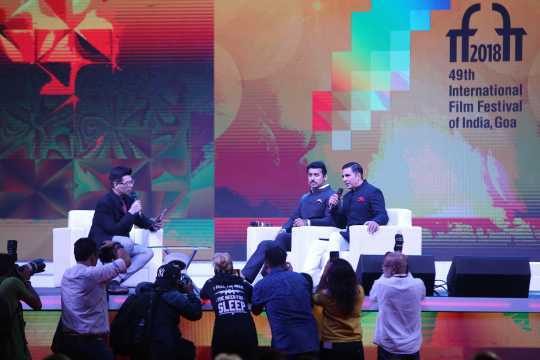 There was no coffee, but the filmmaker-producer did have some candid conversations with Akshay Kumar and Union minister of state for information and broadcasting Rajyavardhan Singh Rathore. Most of the questions Johar posed were clichéd. However, one interesting reply from Akshay Kumar was that Ranveer Singh would be apt to star in a biopic on him. Israel is the country in focus at the festival this year and the jury has curated 10 Israeli films to be screened at the festival. Veteran Israeli filmmaker Dan Wolman was honoured with a Lifetime Achievement award. If Israel is the country in focus, Jharkhand is the state to be reckoned with. IFFI will celebrate Jharkhand Day on 24 November. While he couldn’t attend the opening ceremony, Jharkhand chief minister Raghubar Das welcomed the film industries — national and international — to visit and shoot in the state. There is a great incentive for filmmakers to shoot in Jharkhand as the state offers lucrative subsidies. Merely shooting in the state gets filmmakers a subsidy of Rs1 crore, while films that cast five artistes from the state are eligible for a subsidy of Rs2 crore. Films with an all-Jharkhand cast get Rs2.5 crore in subsidy. Celebrating the state, IFFI will showcase films like MS Dhoni: The Untold Story (2016), a biopic on former India captain MS Dhoni who hails from Jharkhand. A Death In The Gunj (2017), Ranchi Diaries (2017) and Begum Jaan (2017) are the other films. 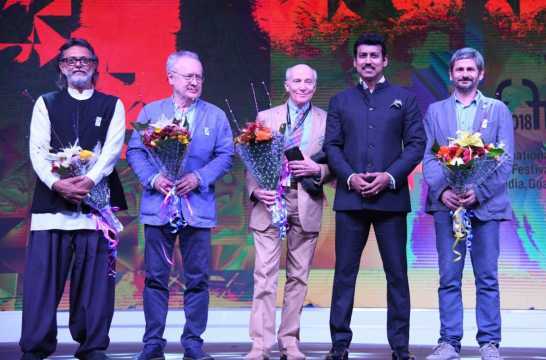 The opening ceremony of IFFI 2018 also saw the launch of the web portal of the Film Facilitation Office (FFO) by Rajyavardhan Singh Rathore, a retired army officer and 2004 Olympic silver medallist in shooting. Rathore's ministry set up the FFO in the National Film Development Corporation in 2015 to promote and facilitate film shootings by foreign filmmakers in India. The services of the FFO have now been extended to Indian filmmakers as well. Film offices set up by states highlight their film policy, efforts to ensure smooth filming, showcase locations and acquaint filmmakers and the fraternity with the incentives/rebates/subsidies offered. In order to disseminate information regarding filming in India, the FFO has now developed the web portal. “India is a land of storytellers where every person has a story to tell," Rathore said. "These stories inspire and entertain us. IFFI is a platform for our young generation to showcase their talent. It is a platform for international filmmakers to see India and explore the talent that we have." It is not often that actor Sonu Sood closes an event like this. The Happy New Year (2014) actor paid tribute to action heroes by presenting a dance performance, though he seemed to be flexing his muscles more than shaking a leg. He remembered popular songs and dialogues of action stars such as Dharmendra, Sunny Deol, Salman Khan, Akshay Kumar and Ajay Devgn.